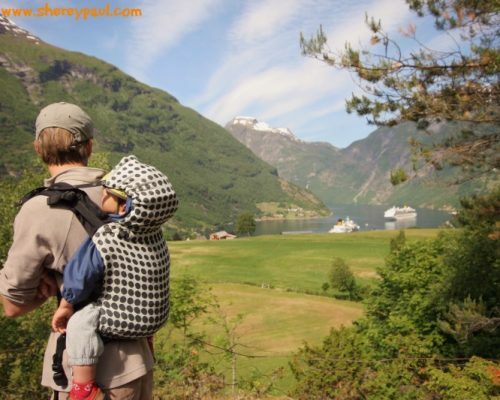 How much does it cost a holiday in Norway with children? 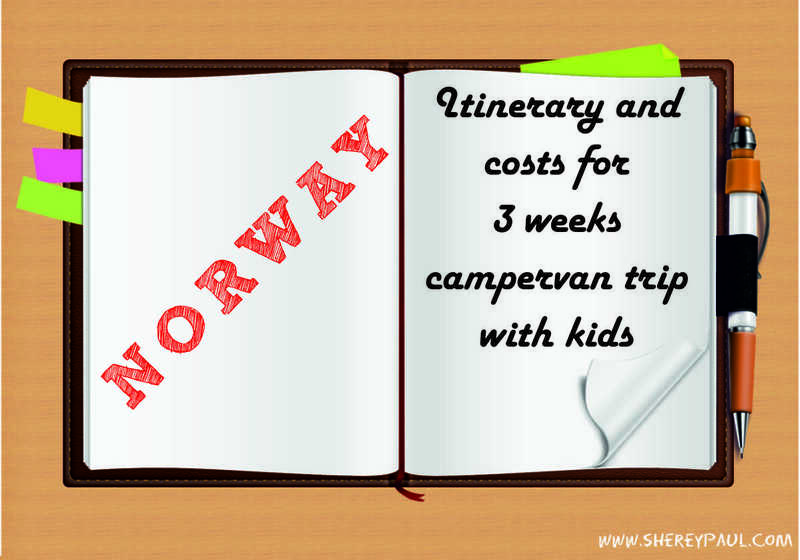 Here our itinerary and costs for 3 weeks campervan trip in Norway with children. In total, we drove around 3800km: 1900km to/from Hirtshals and 1900km in Norway. And we spent 3.530€. 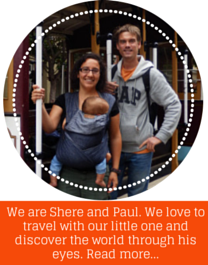 This includes transport, accommodation, food and activities for 3 weeks for two adults, one toddler, and one baby. For this trip, we rented a campervan for 3 weeks from a friend of a friend for 1500€ and drove to Hirtshals, where we took the ferry to Bergen. The ferry was 400€. It wasn’t cheap but we didn’t book long in advance, and we had an outside cabin. Depending on your route, you can spare some money. 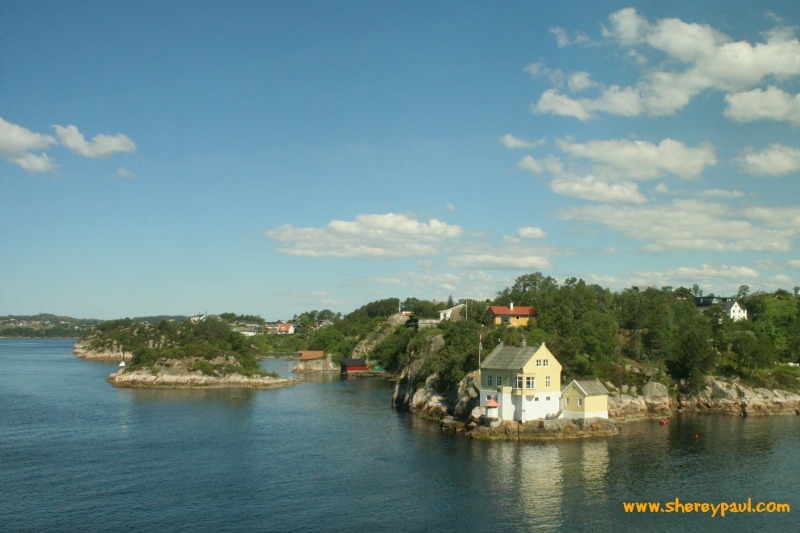 For example, by taking the ferry to Kristiansand. The crossing to Kristiansand is also much shorter, but the advantage of sailing to Bergen is that we avoid driving a lot of kilometres and from Stavanger (where the ferry makes its first stop) to Bergen is like taking a fjord cruise. 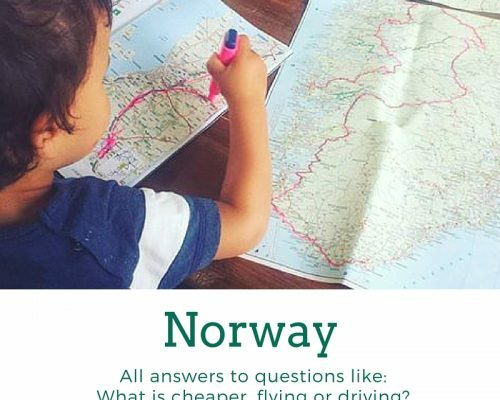 The ways to get to Norway are multiple and I even wrote a complete post about whether flying is cheaper than driving to Norway. It’s just a pity that there isn’t an Amsterdam to Norway ferry, that would have saved us a lot of driving. Driving a campervan or motorhome in Norway takes much more fuel than a car. The consumption was around 10l per 100km and, therefore, we spent nearly 450€ in diesel. The fuel price in Norway varies quite a lot. Around Bergen, we could find cheap gas stations. 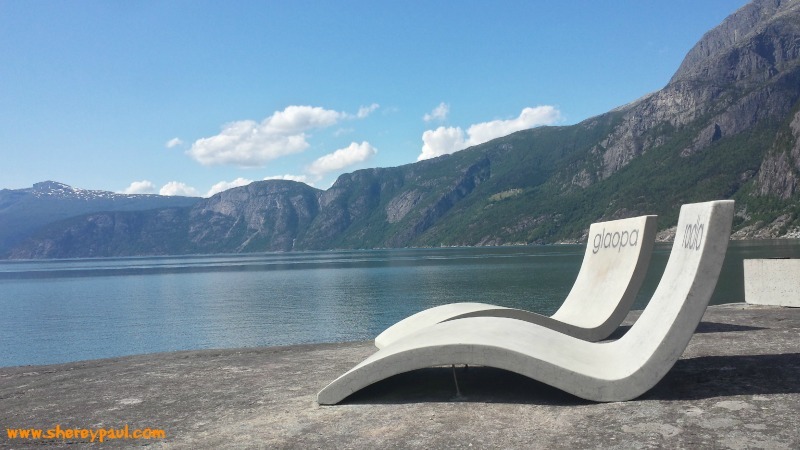 But in all the Fjord region, the price was higher. Another transport cost was the ferries in Norway. If you travel with a campervan up to 6m, the price for a campervan in the ferry will be the same as for a car. If your campervan is bigger than 6m, you will pay more than twice the price. So it’s worth to choose a short campervan in order to save some money. Campervans up to 6m pay the same as a car in the local ferries. Over 6m, they pay 2,5 times the price!! In total, we spent almost 500€ in campings. The cheapest was the camping in Bergen for 16€/night, but it was more like a parking lot than a camping. There was hot water for the dishes, but further no toilets or showers or any other amenity. It was well located to explore the centre of Bergen, as there was public transport just in front of it. 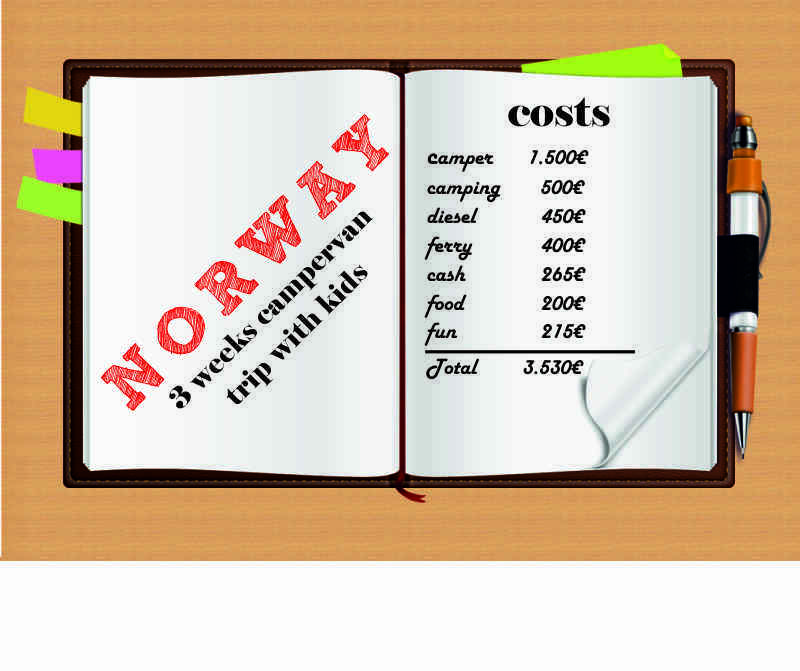 The most expensive camping in Norway was in Kristiansand for 39,5€. In fact, the most expensive camping was in Legoland for 42,7€/night, but this one was in Denmark. In Norway, you can camp freely and you can save some money by doing this. But when you travel with children and especially with a toddler that is just “potty trained”, having some extra amenities and a proper shower is an advantage. In the map below, I have added some great night spots that are for free (marked with a moon) and safe for the kids. Some places where people stop are just next to the road, not the best place for a running around toddler. You can always ask in the tourist information if there’s any free parking place where you can spend the night. We stayed for free in Suldal, the spots next to the tourist information were already taken, but they pointed us to the parking of the Salmon Studio. I cannot tell exactly how much we spend on food, as we didn’t pay everything with card. We also took some food and wine from home, so I guess that we spent around 100€/week. 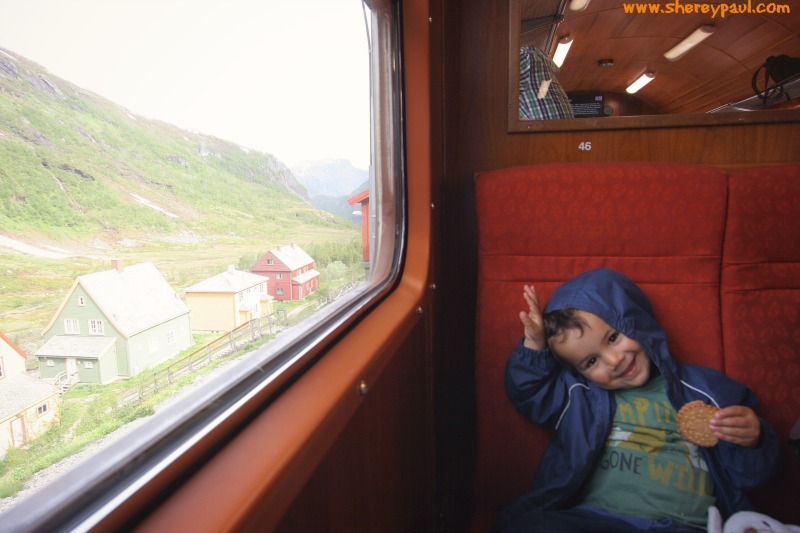 The Flam train was almost 95€ for a return ticket for two adults. For the train, there aren’t any discounts of ways to get it cheaper. We took the first train in order to avoid the cruise tourist. Something I would really recommend. The ticket office was almost closing when we bought the ticket, otherwise, we would have bought a ticket to Myrdal and from Myrdal to one of the stations in between. There’s a good path to walk/cycle down from Myrdal to Flam. On a rainy day, we decided to join the locals at the swimming pool in Lyngdal. We paid 42€ and besides indoor and outdoor pools, there were jacuzzis inside and outside too. 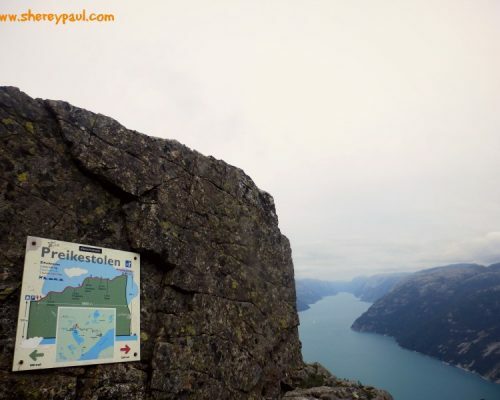 For this trip, we wanted to visit Bergen, Flam and Geringer, drive the Trollstigen and climb the Preikestolen. Those five items defined our Norway trip itinerary you see below. Depending on the month you’re looking at the map, the route doesn’t show correctly, as some roads are closed in the winter. Our Norway road trip itinerary included Bergen, Voss, Flam, Sogndal, Geiranger, Eidfjord, Suldal, Preikestolen, Flekkefjord and Kristiansand. As well as Legoland in Denmark on our way back home. If you ask me for my favourite place, Geiranger didn’t disappoint me. But because we have a small car accident (another campervan’s mirror crashed into our mirror) and we spent a lot of time looking for a mechanical workshop, I would say that my favourite place was Eidfjord. We had a great weather in Eidfjord, I was even swimming in the fjord!! and there weren’t any cruise tourists. 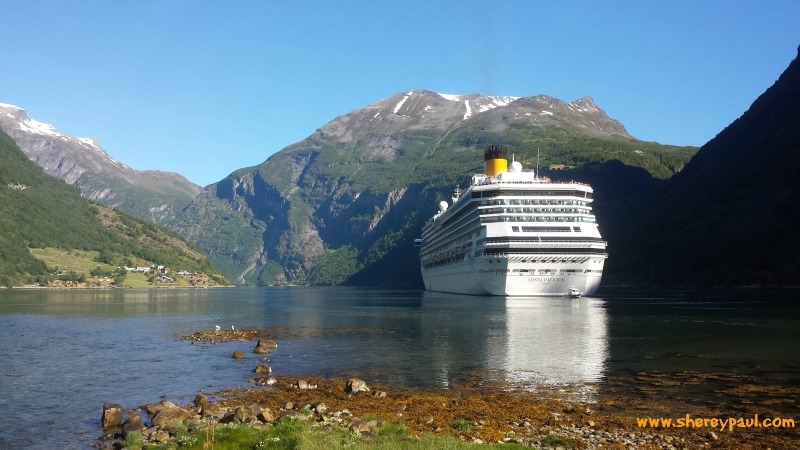 There are cruises coming to Eidfjord, but not daily like in Geringer. 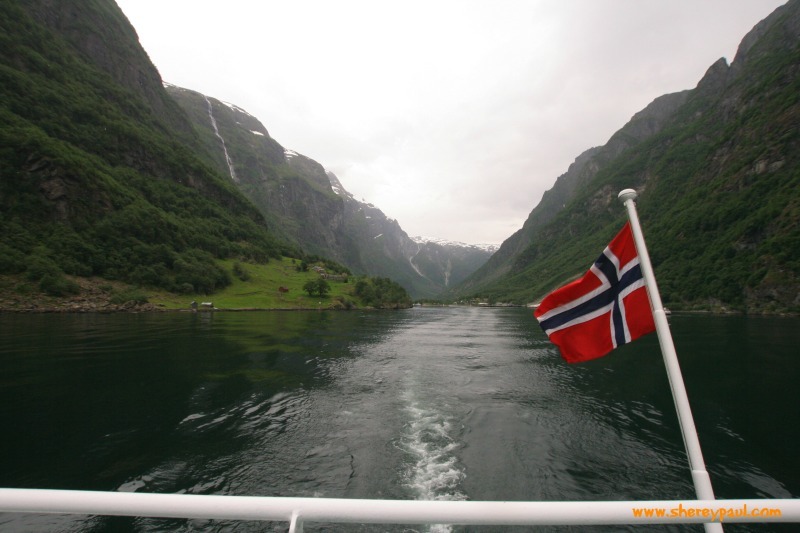 In fact, in Geiranger two different cruises arrived on the same day. Imagine how a tiny place looked like with all those people!! 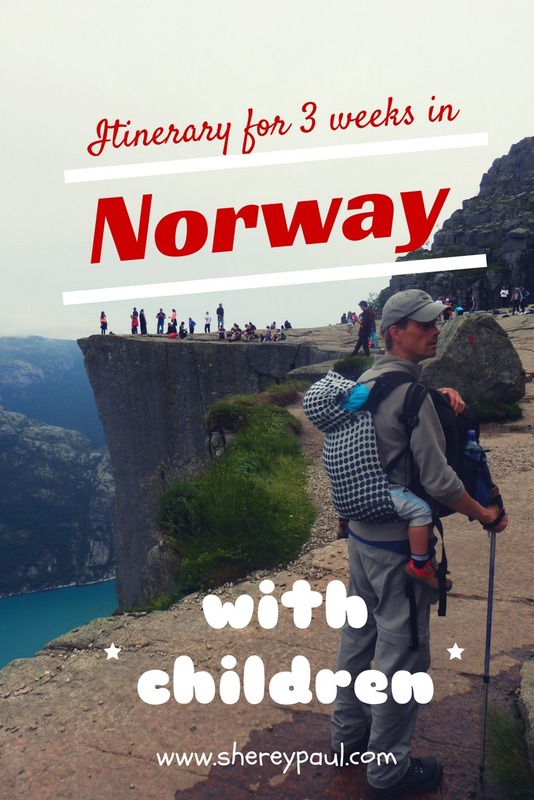 In conclusion, we really enjoyed road tripping 3 weeks in Norway by motorhome! It looks like you had a great tour at a very reasonable cost. I went to the fjords in Norway on a ship and I saw the costs in the ports. I think you did well. Wow! What a great read. I loved my visit to Norway. Your pics capture its beauty! 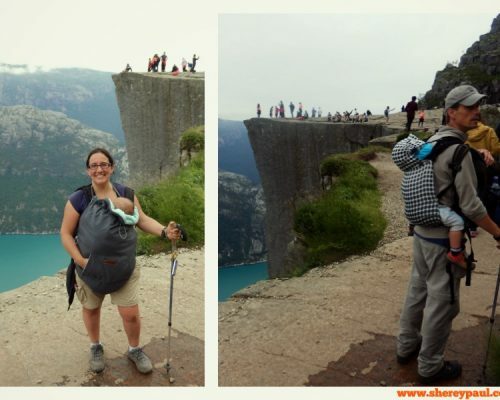 It seems you all had great trip for a reasonable cost.The views are beautiful in these photos.Love the smile of the kid.. I am intrigued. I went to Norway on business a few years back and the prices were astounding. I remember soft drinks being $10 a can. (good thing per diem wasn’t enforced on international travel) I have always wanted to return and make it further into the country side. A camper van would allow us to do just that. This idea is definitely going onto the dream list. Loved your map too. Shere, I do love Norway. I’d like to go camping all through Scandinavia and save on those accommodation costs! Looks like your itinerary was fantastic. Thanks for linking up with #wkendtravelinspiration! We’ll see you next week! You did well. Our friend from the Netherlands who we meet up with in Japan every year, visits Norway annually for fishing and says it is the most expensive country. Kudos to you for doing so well. I would love to visit Norway. It looks so pretty. I know it is really expensive so I think you guys did great managing the budget. Thanks for sharing on #TheWeeklyPostcard.